Yes, ‘the’ Tim Peake. The British Astronaut who is now on the International Space Station for his 6 month mission. He was on skype from Houston and answering questions about life on the space station. What do you do on the space station? Do you carry things around? Would you wear a onsie? I don’t know. A onesie seems comfy to me but I guess there are more important considerations in space. Why I spoke to him was as part of a team at the NASA Space Apps Challenge. It was held at the Met Office in Exeter which was one of the UK locations for the 2014 challenge. NASA hold the challenge every year. Anyone can enter and take part. You register and turn up at the location, hear what ideas are being put forward, join a team and create with whatever skills you have. Register on the Space Apps Challenge website. It was my first hackathon and I had no idea what to expect. I work in technology as a digital designer but I don’t do the backend complicated code type stuff and I thought that was what a hackathon was all about but I had to give it a try. Would there be anything for me to do? The idea I joined was to create wearable technology for an Astronaut. It was put forward by Jon Spooner (Unlimited Space Agency) and Jon Rogers (Dundee Uni). They go to schools and talk about how exciting space is. Their patron is Tim Peake. The team was introduced to each other. There were fashion students and teachers from Exeter College, myself and another IT person, 2 web developers, Jon Spooner and Jon Rogers. We started with ideas, with drawing lots of ideas. We then spoke about all the ideas and settled on creating a comfortable spacesuit with a mission badge that lit up as it was connected to social media. The idea came from connection. We thought that Tim Peake’s family could use it to communicate with him in space. Then we created. Well, this is how it went…creating, talking, creating, talking, revising, changing, creating, talking, going to other teams for help/advice, creating, etc etc… sewing machines appeared, badges were sketched, material cut, arduinos tinkered with, tapping on laptops, coffee, food, lots of wires, soldering, coding, drawing, gluing, sewing etc etc. I arrived back at the Met Office in the morning and found that some people had worked through the night. That’s the thing about a hackathon, a weekend is not long to create something that’s never been created before. You get so excited about the project that you’ll work through the night. Here’s the final result which was presented to the other teams as we also heard about their projects. I had easily found things to do in the team even thought I’m not a coder because creating something in a short space of time just needs people to offer and go for it with a range of skills. From helping the fashion students to go with their ideas and not be afraid of technology, to sawing and gluing a case for the battery to sit in, to drawing shapes in pixels that could be displayed when the tweets came through. The team won best mission concept 2014. The creature from the black lagoon… I recreated the movie poster which I found in John Landis’s Monsters in the Movies book. The book is full of pictures and details of over a century of horror films and one of my favourite books. I’m working my way through the films and sketching them or remaking them at the moment. 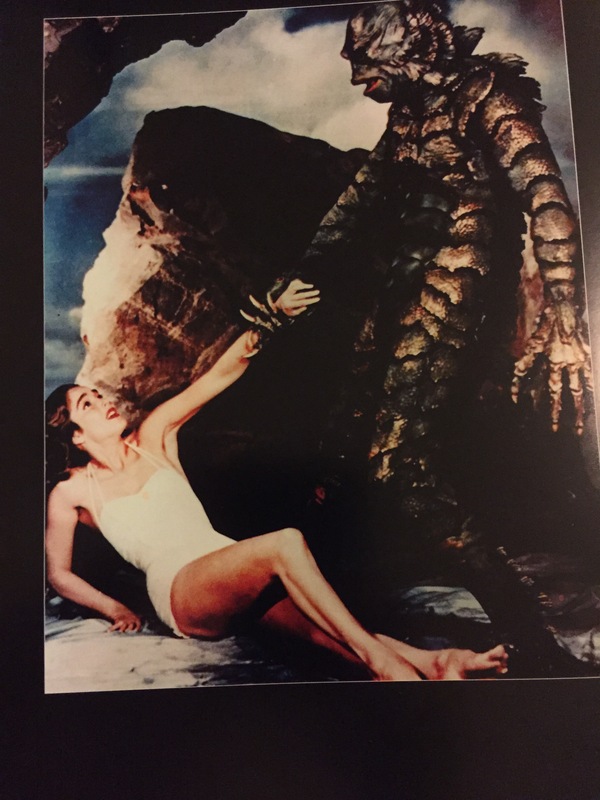 Creature from the Black Lagoon… is a 1954 film in black & white (colour posters) which was 3D. I created this using a trial version of Affinity Designer. Affinity was very similar to Adobe Illustrator (the software I normally use) and I found it really easy to use. I heard Lea Verou give a talk about colour in terms of design and development at Smashing Conference Oxford in 2014. She knows such a lot and has tons of information on her website. This is totally different from other contrast tools as you can also check opacity too. The reason I’ve been interested in using it is that I’ve been working with online maps and how to best show weather (rain, temperature etc) as a layer over the top of the map. Not actually how you technically get the map to show but how you would display it so that you can best see and interpret it. When you start looking into it there are lots of variables – what type of map background do you need (e.g. terrain, satellite, placenames, roads etc) and then how to best display colours on the top to show each weather type – singly or multiple layers. Opacity needs to be used so that you can see the map features underneath but you also have to be careful that you don’t wash out the colour or change the colour (by it mixing with the map colours underneath) so that you can’t tell what it’s showing. That’s why Lea Verou’s contrast tool is coming in handy in figuring this stuff out. I’ve been working with several other artists on a ‘zine’ which will be launched on 31 May 2012 at the Innovation Centre Cafe at Exeter University. Artwork will be displayed, ginger beer on offer and a zine making workshop. The zine will be available to buy at the launch and on ebay (details below). I’ll also be selling my artwork as posters and postcards at the launch and afterwards online (details will be posted here). 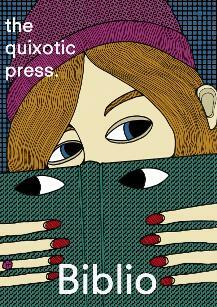 The zine (or magazine) is called ‘The Quixotic Press’, being an approximate anagram of ‘Exquisite Corpse’, agame invented by the Surrealist artists and similar to the old parlour game ‘Consequences’. In the game, a concealed word or image is folded over then passed to the next player for their contribution. The end result being a final composite image which is, if nothing else, wonderfully unexpected. You will see work by Chloe Uden (Creator of the zine & contributing artist) and other artists – Olivia Croce, Pat Cullum, Rory Cunningham, Sadie Moisan, George Murphy and Naomi Ziewe Palmer. The Quixotic Press is looking for artists and writers for the next edition to be launched at the Arial Gallery in Totnes in October. So if you want to participate or just to find out more, please come along to the launch, or visit the website.